Happy Monday to everyone! I wanted to do something a little different this Holiday season. I love to be able to go online and find gift ideas for friends or family members. Sometimes people are super hard to buy for so seeing gift guide ideas online really helps me narrow down what I want to get for everyone. Each day this week I’m going to share 5 different gift guides with you, my readers. These are all things that I know and love. I promise not to recommend anything to you that I haven’t tried or use personally. Each day will have a specific theme and 5 groups of gifts for any person that may fit into that theme. 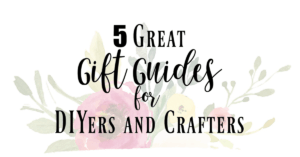 I, of course, had to start with a Gift Guide for DIYers and Crafters. It’s a huge part of my life and wanted to share the things I love with you! This list of items are things I use on a daily basis. They are so useful for so many crafts and DIY projects. These are all great items to add or start to collect for your project making dreams! Take a look at some of my DIY and Craft projects. These 6 tools are my go-to items when I want to tackle a little bit bigger of a project. They all work so well and what I love best about these tools is that they are all powered by the same battery. Including the Ortibal Sander in the list above. If you have a couple of batteries and a charger or two then you are set to go to use any of the tools at any time! Check out some of the projects I’ve made with RYOBI tools. 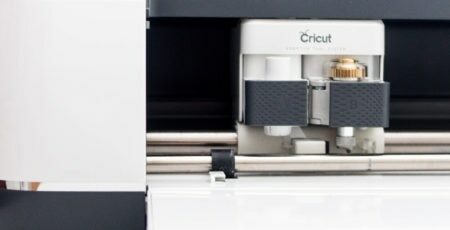 If you have followed along for a while you know my love for my Cricut Explore Air 2 and Cricut Maker. You can find a bunch of things I’ve made with them here. These 6 items are must-have items if you decide to get a Cricut for yourself or a loved one. I use them all the time and love each and every one of them! I pretty much have painted every room, wall, and piece of wood in our house. If there is anything I know best, it’s how to paint. I have tried almost every tool out on the market as well! 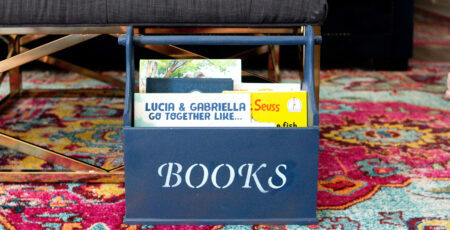 These are my absolute must-haves for any room or furniture transformation. Recently I have really gotten into bullet journaling. 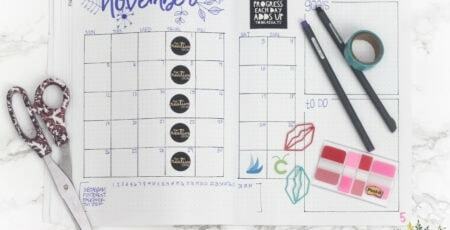 First of all, there are so many amazing things you can journal about and keep track of with this method of journaling. As a result, you can be creative and relax at the same time. I’m looking forward to sharing more about my love of bullet journaling with you guys! Thank you so much for stopping by! I’ll be back tomorrow with another great list of 5 gift guides for you! Can you believe Thanksgiving is only a couple weeks away?! Let me know if you have any questions! 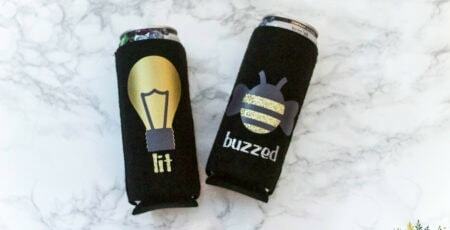 Good idea on the Cricut items! Thank you Ellen! 🙂 I love my Cricut!